Over the last several years through numerous blog posts and comments Cascadia Wildlands has been forwarding two important notions. The first is that state wildlife commissions (and therefore agencies) in the West are too beholding to resource-oriented industries such as ranching, timber, mining and energy interests at the expense of hunters, anglers and our ever-dwindling wildlife legacy (1,2). And, at the same time, western wildlife commissions are too accepting of the ideas forwarded by some extreme hunting groups that increasingly reflect the views of these same resource-dependent industries such as increasing clearcuts, aggressive predator control, protection of public lands grazing and more road creation for access rather than hitting the conservation sweet spots of habitat restoration, wilderness preservation, road retirement and water quality improvement (1,2). In essence, both the commissions and these more trophy hunting-oriented groups have been quietly coopted by the very elements that do damage to the natural resources needed by all wildlife and fish. 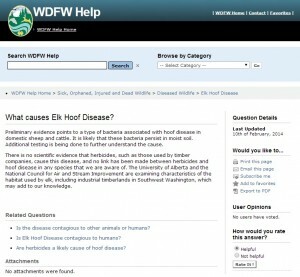 The most recent and troubling example involves the issue of hoof rot in Washington State’s Roosevelt elk herds. No one knows for sure at this point what is causing the hoof rot in southwestern Washington, but there are a lot of candidates both of a direct and indirect nature. One hypothesis that was put forth recently is that there is some link between combinations of factors that could include herbicide use by the forest products industry and a bacterial infection known as leptospirosis. Leptospirosis often causes severe muscle pain in mammals which might explain the limping observed in these elk as well as the lack of hoof wear on the sore legs. Leptospirosis has been present in Washington for decades. As a wildlife biologist who frequently looks at complex interactions, I can appreciate a scenario that includes multiple causes such as massive habitat changes and herbicide use that put elk in a vulnerable condition so they present the variety of symptoms we are observing with this hoof rot phenomenon. But the idea of this being driven by leptospirosis or via an herbicide link—either through decreased habitat quality or consumption effects—has been met with apparent resistance in spite of efforts by a retired public health researcher and an expert on leptospirosis detection, Dr. Boone Mora, and hunter Jon Gosch who has written two well-researched blog posts on the topic (1,2). In addition, farrier Krystal Davies has also made a rather cogent argument for this being laminitis associated with or driven by herbicides. 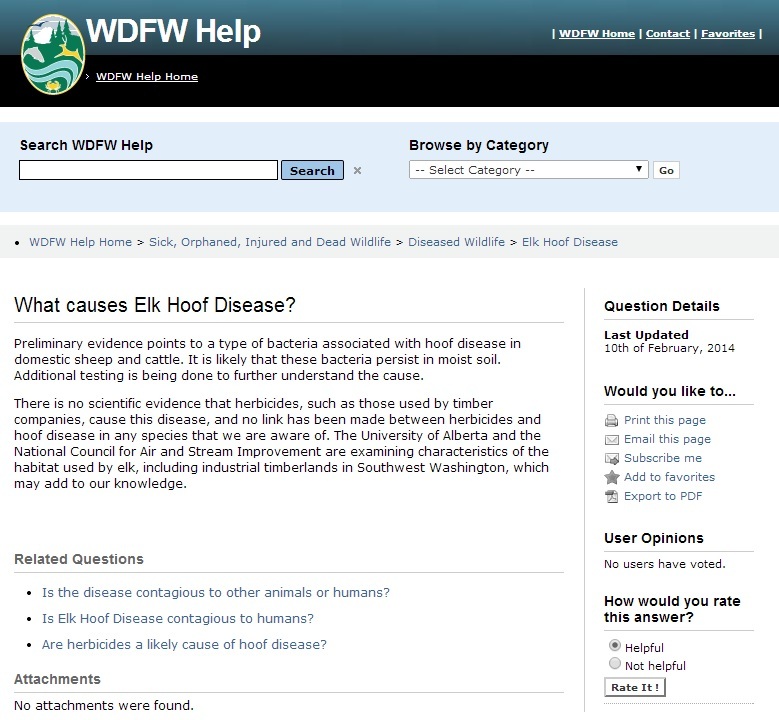 The above is a screenshot from the WDFW website. Please note the mentions of NCASI and the University of Alberta as sources. Click here to view U of A study's funding sources. It is amazing given the volume of public commentary on habitat, herbicides and alternative diseases that the WDFW Hoof Disease power point presentation from October 2013 focused on identifying symptoms and wildly invasive cures rather than dealing with what the root causes might be such as habitat degradation and herbicide use which seem buried deep in the presentation—almost as afterthoughts. You almost get the impression when you view this slide show that the elk are at fault and should bear the brunt of the solution. Why are the root causes being ignored in favor of a narrow band of issues that are more likely symptoms? That is a great question or set of questions. "The National Council for Air and Stream Improvement is an independent, non-profit research institute that focuses on environmental topics of interest to the forest products industry. Membership is open to forest products companies in the U.S., Canada, and beyond." Mission statement of NCASI from website. Part of the answer to the above comes in the form of an obscure but powerful group called the National Council for Air and Stream Improvement or NCASI. Formerly known as the National Council of the Paper Industry for Air and Stream Improvement, this is the research arm of the timber industry and often their scientific mouthpiece. NCASI seems to enjoy preferred access to Washington's wildlife agency and used as a resource (see FAQ quote above) which is troubling given that the timber industry has a long history of viewing deer and elk as unwelcome pests (1,2,3) and because of NCASI's industry biased spinning of scientific findings, regulations and other phenomena ( 1,2,3,4). Of particular relevance here, NCASI has also been very active in telling the Washington Department of Fish and Wildlife (WDFW) that herbicides are not the problem. This is probably based in part on a report by NCASI written by Dr. Tatum, NCASI researcher Larry L. Irwin Ph.D. and others with assistance from Dr. Cook. Unfortunately, WDFW seems to be listening to the pro-herbicide rhetoric and they are not the only ones. “Larry brings decades of on-the-ground work to the table,” said David Allen, RMEF President and CEO. “His studies on elk, other wildlife, and habitat further strengthen RMEF’s resolve to acquire more science-based research and knowledge.” David Allen quoted in NCASI press release April 15, 2013. "Improving large mammal browse was a primary focus of the first decade of research on forest herbicides (pers. comm., M. Newton, Emeritus Professor, Department of Forest Science, Oregon State University) and remains an important consideration today." in NCASI pp. 31. As a former ungulate biologist I was particularly concerned with the statements made in NCASI's herbicide paper in the wildlife section on pages 29-31. 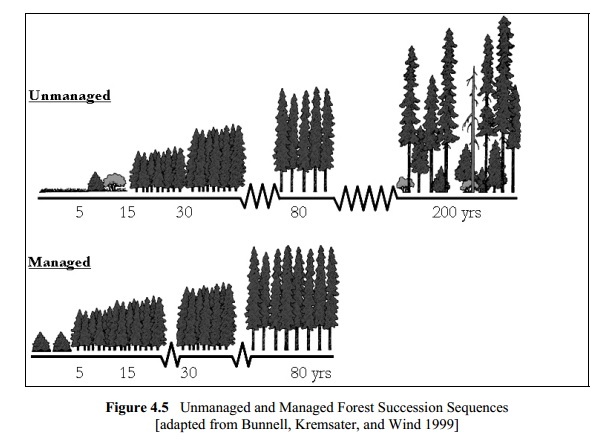 Reading these pages in the absence of background one would think that the timber industry’s goal was increasing and improving forage for deer and elk and that these ungulates were only minimally impacted because the woody vegetation killed was replaced by grasses. “Model results suggested that the potential for long-term changes in vegetation composition and resultant ungulate forage availability were most pronounced during winter.” in NCASI pp. 29-31. The well recognized fly–even by NCASI–in this ointment is winter. Grasses are great in the spring and summer but as they mature and summer transitions into fall these plants take their protein and ship it below ground to be stored for next year. In short, if you have killed off the woody vegetation and are left with nutritionally useless grasses what do the elk eat in winter when stress and caloric needs are high–particularly in females carrying young? I was also concerned with the coverage in this section about the toxic impact of the herbicides on wildlife. Certainly this is the timber industry’s party line, but the public has compelling reasons to be dubious about the rigor of these findings as they apply to wildlife and human health too. These “benign” herbicides are turning out to be more problematic than originally thought. Adding to this general atmosphere of distrust are stories like the one unfolding at Triangle Lake in Oregon where citizens rightfully want to know what the timber and herbicide industries have put in their waters and ultimately their bodies. "The group also heard a presentation about herbicides by Anne Fairbrother, a veterinarian and principal scientist with the Exponent research company in Seattle. "CropLife America represents more than 60 developers, manufacturers, formulators and distributors of virtually all the crop protection products used by American farmers and growers. We are the voice of the industry that ensures the safe and responsible use of pesticides in order to provide a safe, affordable and abundant food supply." CropLife Mission Statement from their website. My nervousness over this herbicide issue is little diminished by the nuanced quote above by Dr. Anne Fairbrother whose company Exponent is a dues paying member of CropLife America along with Syngenta the manafacturer of atrazine (see also attacks on scientists). It is noteable that Dr. Fairbrother when she was with the US EPA during the Bush II era also supported the EPA's decision to continue to allow the use of atrazine over the objections of many and an existing and growing body of scientific evidence that if anything should have dictated a more cautious approach (1,2,3,4,5,6). Atrazine is banned in the EU. All in all the herbicide users, makers and the minions for both “doth protest too much, methinks” to do anything other than raise serious questions about too tight and too trusting relationships with WDFW and other serious conflicts of interest. And what about spending just a little bit of time with Dr. Cook’s interesting “proof” about herbicies not contributing to or being at the root of this situation because we are not seeing the same phenomenon is other places where herbicides are used like the Blue Mountains? We have indeed seen drops in elk populations in the Blues (1,2). And setting aside the fact that we are dealing with a different subspecies of elk, in different habitats, and under different precipitation regimes, this area also has a full compliment of predators including wolves which are coursing predators that would make quick work of limping elk affected by leptospirosis, laminitis or other diseases. Getting back to Dr. Irwin, he is coincidentally also a science advisor to our friends at the Oregon Outdoor Council (1,2,3) who have, without caveat or condition, endorsed federal legislative proposals that could greatly increase clearcutting on federal forest lands in western Oregon as well as potentially reopening the door for herbicide use on some of these lands. As we have heard numerous rumors of limping elk in Oregon and leptospirosis has been documented in the state, this really needs to be examined and questioned as it has significant implications for issues like the privatization of the Elliott State Forest and the O&C proposals—both of which could lead to more clearcuts and herbicide use. Embedded in all of this is also the oft repeated cautionary tale of massive habitat changes—human-wrought and natural—leading to short term gains in ungulate populations followed by population crashes and other catastrophic problems. Ecologists and visionary wildlife managers have been trying to raise the alarm about the consequences of these phenomena and related habitat issues for nearly 100 years (see Flathead Game Reduction). Yet we tend to get shouted down, ignored or fired (1,2) both during the elation over increased populations and the ensuing panic that accompanies the crashes. In the latter case of crashes some hunters and wildlife commissioners do not want to hear about solutions—like habitat restoration—that might take decades or even centuries to fully unfold. They want right-now solutions like predator control, vaccines for diseases, and other biological Band-Aids. Population explosions also reset expectations and no one wants to be reminded that succession happens and clearcuts provide good elk food resources for a decade or two before shading out needed understory for nearly two centuries. And as the illustration above from NCASI's herbicide report shows, the "clearcut bonus" is reduced nearly to zero when those lands are densely replanted with Douglas-firs and managed with herbcides. 1) Get more systems thinkers such as ecologists and also folks with experience outside of laboratories involved in the process. These need to be people willing to ask tough questions about why this might be happening in the first place and not tied to any agency or industry that might be contributing to the problem. 2) Take some time to educate folks on elk habitat needs and the short and long-term consequences of habitat changes, herbicide use, and plant succession on elk populations. 3) Be more inclusive of other voices in the process and listen more closely to the concerns of hunters, anglers, and others who own and enjoy these public resources and less to those like the timber industry, herbicie interests or their scientists whose actions tend to decrease biodiversity and ecosystem integrity. 4-6) Conduct research, research and more research. This may seem facetious, but there is so much that we do not know, yet we are acting in a manner that suggests that we do. The impacts of herbicides and the interactions between various products as well as their "inactive" parts needs to be fully investigated before the issue is dismissed and the public told that these chemicals are safe for wildlife and humans. The full range of bacterial and immunotoxic causes and symptoms need to be examined and considered before they are ruled out. And the human health implications of handling and consumption of infected elk need to be fully addressed as well. There are others, but this would be a great start. As I mentioned above, I do not know what is causing this phenomenon. But I do know that if the process and players lack openness and are preloaded to a certain realm of answers, the solution will reflect this. If you agree with these concerns click below to request that WDFW modify their current approach and remember that they are in the elk business not in the timber and herbicide game. My last comment has to do with the value of citizen activism and picking effective campaign partners by shared goals and benefits rather than appearance or perceived politics. I have written volumes about the campaigns of some with ties to the resource industries to drive wedges between natural allies in the conservation and environmental communities. Instead of rehashing what I have already said let me end with this. 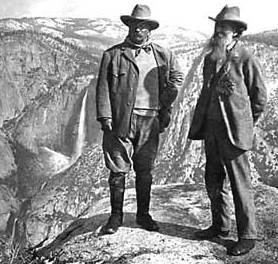 Theodore Roosevelt and John Muir—arguably the father of modern conservation and the king of the tree huggers—were friends and effective colleagues. They did not always agree on issues—in fact they had some pretty monumental battles. But when they worked together they accomplished amazing things that are still talked about and revered more than a century later. Perhaps this is an issue where we can all work together again and not only do something exceptional on this front but set the stage for another and much needed push to ensure the future of wildlife and wild places and, at the same time, make our future more secure. Has there been a study of the correlation on the herbicide base chemicals versus area of use or time of year? I have found a number of areas in SW Washington where the herbicide and chemicals are quite different. I believe a cross analysis of these materials are also upheld by permits through the Washington DNR and there counterparts within the timber industry. Who scratches whose back and makes the allowance??? This is more like the fox guarding the hen house. The DNR would have to accept the incredible position of accepting the consequences of their own actions. Gene, I am unaware of any study along the lines of what you suggest. The connections between the regulated industry and the regulators is troubling as is the lack of monitoring, THe foxes are not only guarding the hen house, but the hens are have tea with them. We need to OUT LAW the use of HERBICIDES before we kill off everthing……Where have all the wild Honey BEES gone?????????????????????? ?